1. 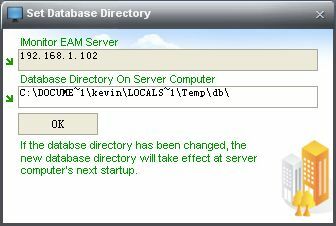 Please click Settings -> Others -> Set Database Directory. 2. Type new database directory, and click 'OK'. 3. Restart IMonitor EAM Server and console program.